I know this review is long overdue and I’ll tell you why in a second. 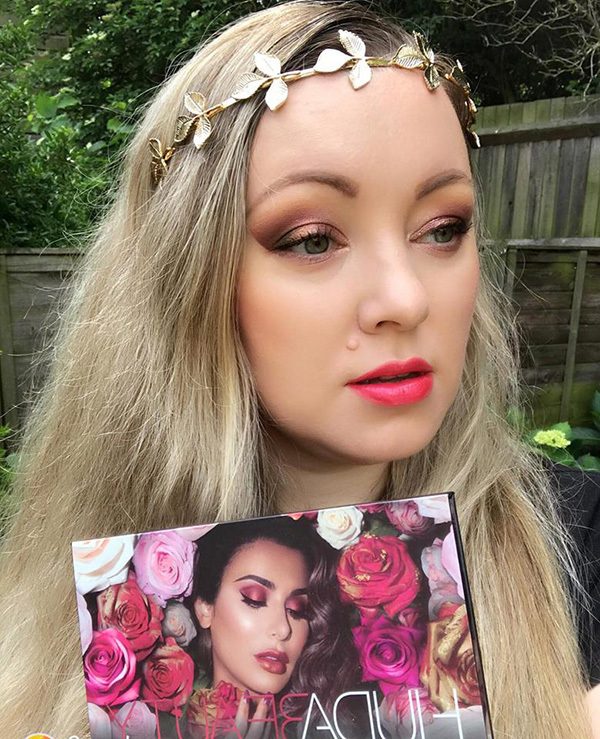 Even though I purchased Huda Beauty Rose Gold Remastered Palette right when it launched, I found it difficult to post the review. Not because I haven’t used the palette, as I did a few times actually, but because I wasn’t excited about this launch. You can read my opinion about the controversial launch in THIS POST. I’m glad I posted at least swatches of Huda Beauty Rose Gold Remastered Palette right then when it launched. 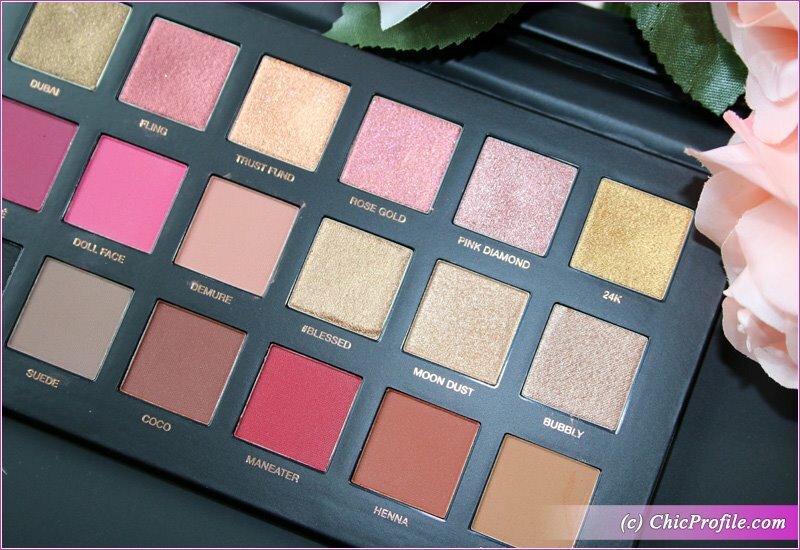 Compared to other Huda Beauty launches, this one kinda broke my heart. Whenever I’m buying a product I’m putting myself in the customer position but also judging things from a blogger’s perspective. 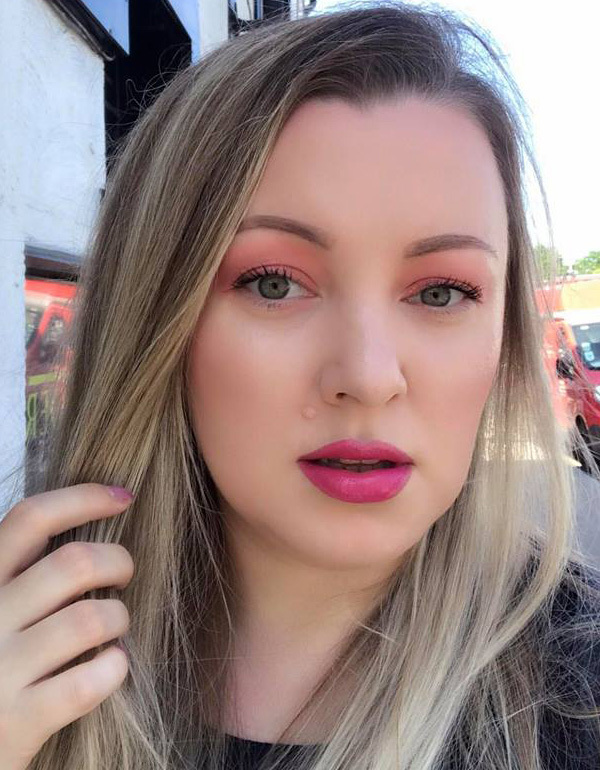 I was infatuated with Huda Beauty when I moved to London and actually I didn’t skip any launch. Lately even though I kept buying a lot of her products, for some reason I haven’t reviewed all my purchases straight away. I did posted them on Instagram (which is now disabled btw because…THE REASON). 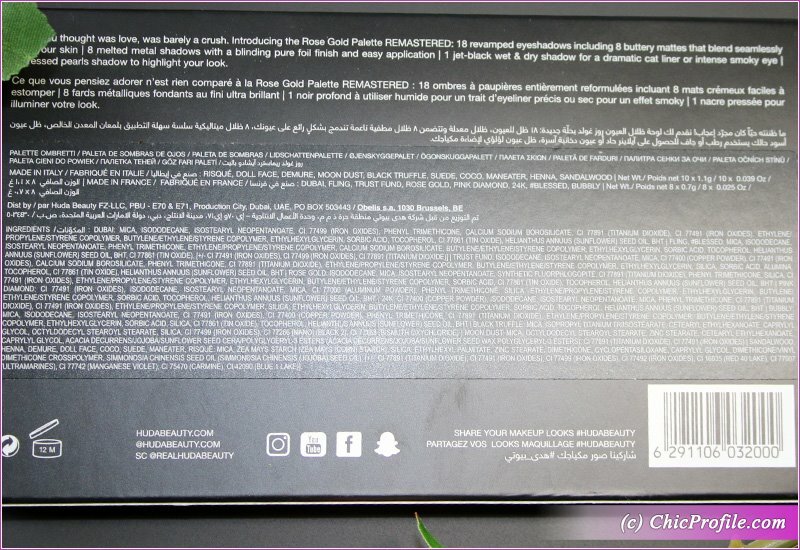 Huda Beauty Rose Gold Remastered Palette ($65.00 / £56.00 / €65.00 for 0.59 oz.) 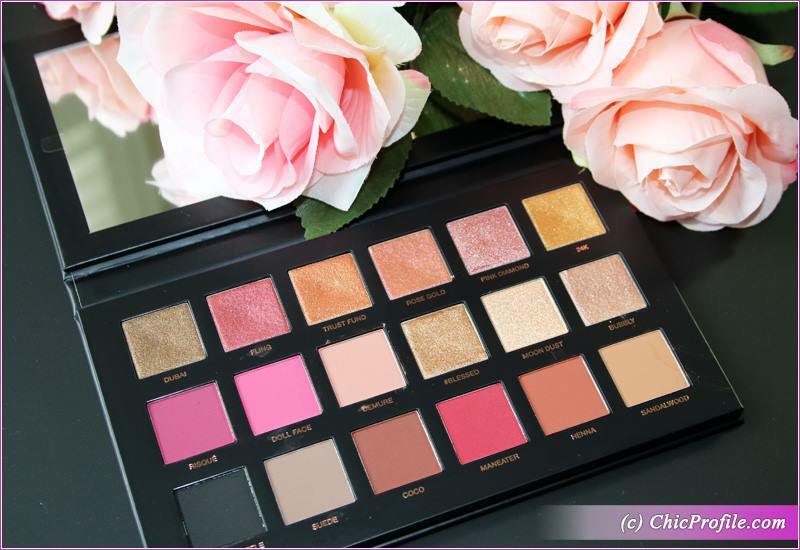 is a new but updated version of the previous Huda Beauty Rose Gold Palette. The product is permanent so you can easily find it in stores and online anytime. 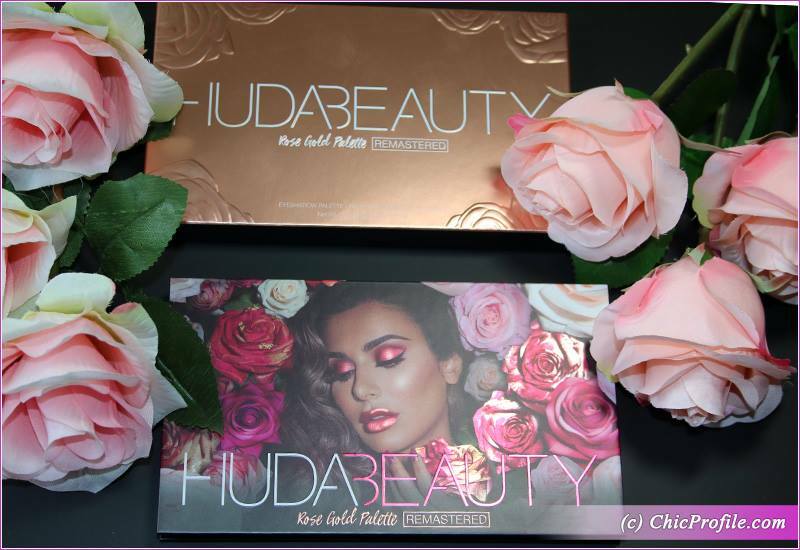 For those who don’t know already, this palette represents a better, updated and reformulated version of Huda Beauty Rose Gold Palette (review, swatches). This doesn’t mean the shades are identical, as some of them have been removed and/ or updated. We have a few new shades as well. Comparing to the previous version, the matte shades are performing better, the formula was definitely improved and they are easier to blend. I can’t stay they are perfect (definitely left room for a Huda Beauty Re-Remastered Palette launch) or the pigmentation, formula and texture are flawless. Even though Huda took her time when working on improving this palette, I feel she should have come out with a perfect one from the second try. Probably that’s one of the reasons why it was so hard for me to review this product when it launched. If you are not going to make something perfect from the second try, why bother? But that’s just my humble opinion anyway. I do see the improvements in some of the shades, as they are more blendable, easy to work with, more pigmented but there were still shades that let me down. The creamier shimmery shades are a bit problematic to work with. You’ll have to use your fingers for more pigmentation, while a flat synthetic brushes will give a decent result if you’ll use pressing and patting motions. I felt that each category of shades had its own application techniques so you really need to practice a lot with this palette. 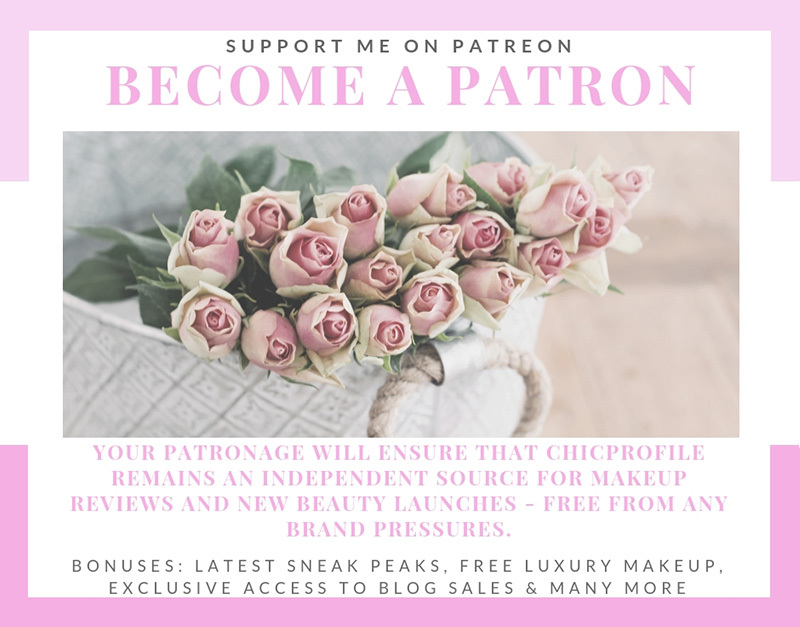 I personally won’t recommend this palette to makeup beginners as there are many textures here that require different applications and if you don’t master those, you won’t be able to enjoy this palette at its full potential. 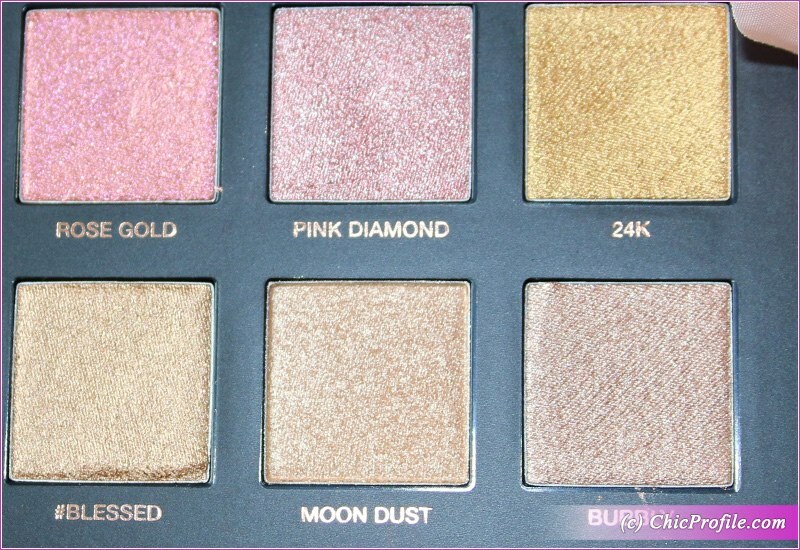 Before I’ll move on to the shade by shade review, I’ll conclude with saying that I still believe Huda could have come up with a completely new palette or make this one an exclusive melted metals and creamy shimmery shades. I wouldn’t have minded getting a palette with shades that could be applied perfectly only by using my fingers as I don’t find the brush as being the best applicator tool for this Remastered palette. DUBAI is dark, olive gold with warm undertones and a metallic finish. It had a great pigmentation being opaque in a single layer when applied with my fingertips. The best way to get the max pigmentation out of this shade is to apply it with your finger otherwise a brush will give you a semi-opaque coverage. It has a creamy, smooth consistency with an easily buildable coverage. 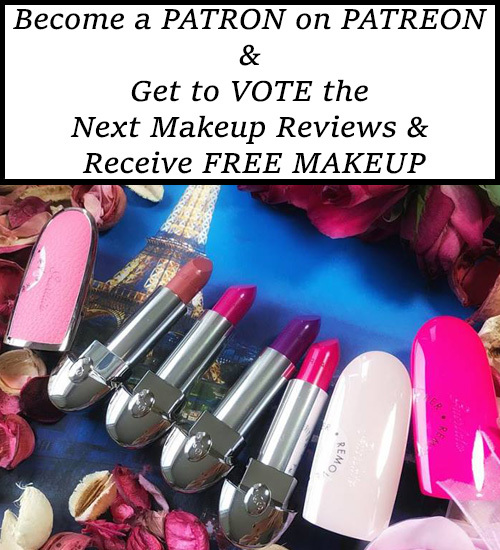 I had no fall out during the application and I really enjoyed its intense color coverage. On my lids it lasted quite well for almost eight and half hours with no fall out. FLIG is a medium-dark, reddish copper with warm undertones and a metallic finish. When I applied it with my fingertip I got a semi-opaque pigmentation, so when I used a brush I got even less. As I said before, this palette has some shades that will not perform that great when applied with a brush. If you do insist to use your brush, you’ll get a medium coverage with a patchy color that is hard to blend. Even though the texture was smooth to the touch, I couldn’t help feeling it a little dry. I got almost eight hours wear with this shade. TRUST FUND is a medium, warm copper with a metallic sheen. It has a good color coverage with an opaque pigmentation. It’s one of the best performing shades in the palette giving me an easily application even with my fingertips or a brush. The texture was smooth and creamy but felt quite emollient and little bit slippery. It was a very easy to work with kinda shade, especially if you want to use a synthetic brush. It started to crease on me after eight hours. ROSE GOLD is a medium, coppery peach with shifting sparkle and metallic finish. It had a medium coverage when I used my fingertips to apply the shade and quite a sheer coverage when using a brush. This is the one of the worst performing shades when it comes to brush application. It wasn’t so easily blendable so it took some effort to make it look even. The texture was creamier but it looses its smoothness over time. I had around eight hours wear with this shade. PINK DIAMOND is a medium-dark, plum with warm undertones and a metallic sheen. It has a great color payoff with an intense opaque coverage in a single layer. The application is a dream even when I used a brush. I don’t want to be subjective here, but this is my favorite shade from the palette. It applies well, blends easily and performs wonderful. It has a smooth, soft and creamy consistency which doesn’t crease even after eight hours wear. 24K is a dark gold with warm undertones and a metallic sheen. It has a smooth and thin consistency that feels a bit tacky to the touch. The consistency is slippery so I couldn’t get an opaque coverage out of this shade when I used my brush. The best way to use this shade is by applying it with your fingertip so you’d get more pigmentation and even coverage. It lasted well on me for about eight and half hours. RISQUE is a dark berry pink with cool undertones and a matte finish. It had semi-opaque color coverage and looked uneven applied in one layer. The texture was dry but easily blendable. You’ll have to work out and build up this color to get an even color payoff. I got around eight hours wear with no fall out but the color started to fade noticeable after that. DOLL FACE is a bright, medium pink with cool undertones and a semi-matte finish. This color offers almost an opaque pigmentation, being one of my favorites from this palette. 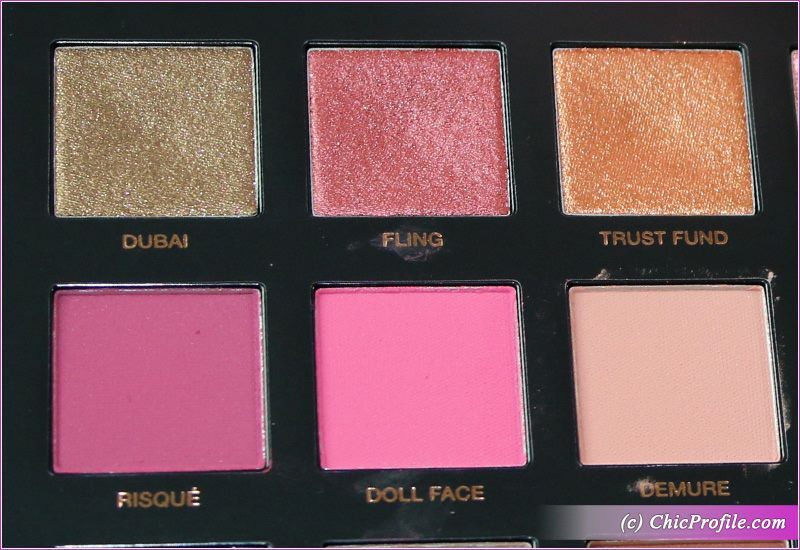 I had high expectations from the pinks of this palette and I was happy to see Doll Face was easily blendable and easy to work it. 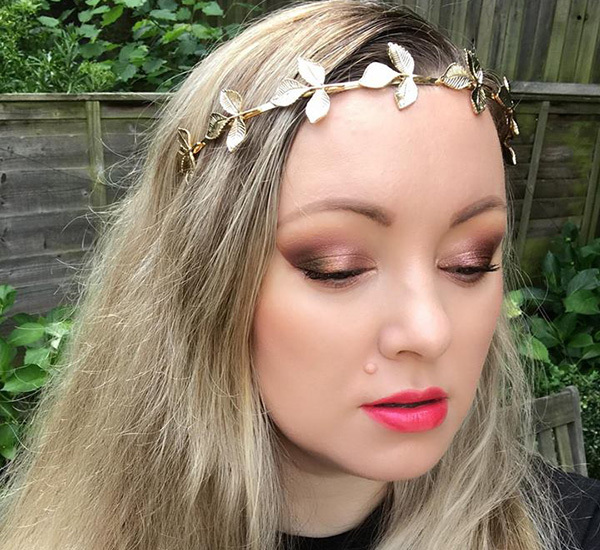 The texture feels soft, adheres well onto the skin without no fall out and stays put on my lids for about eight hours and a half. 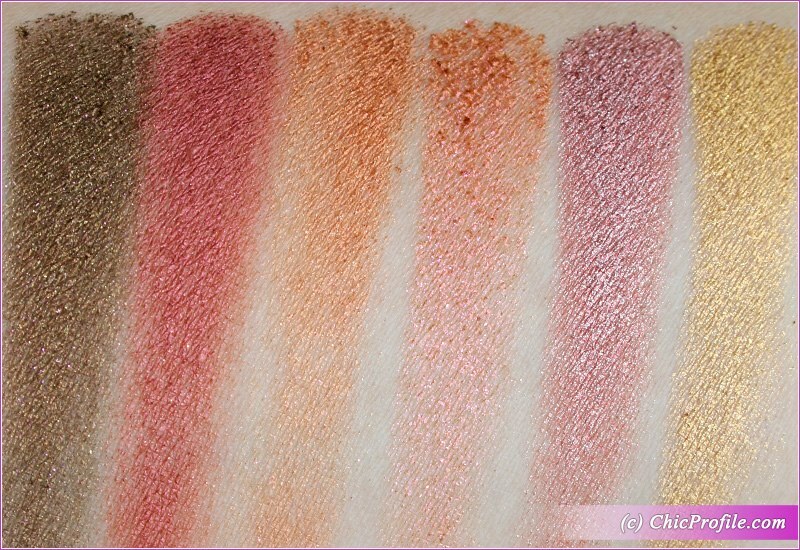 This is one of the mattes from this palette that looks so vivid and offers an even coverage. DEMURE is a light, peach-coral with warm undertones and a matte finish. 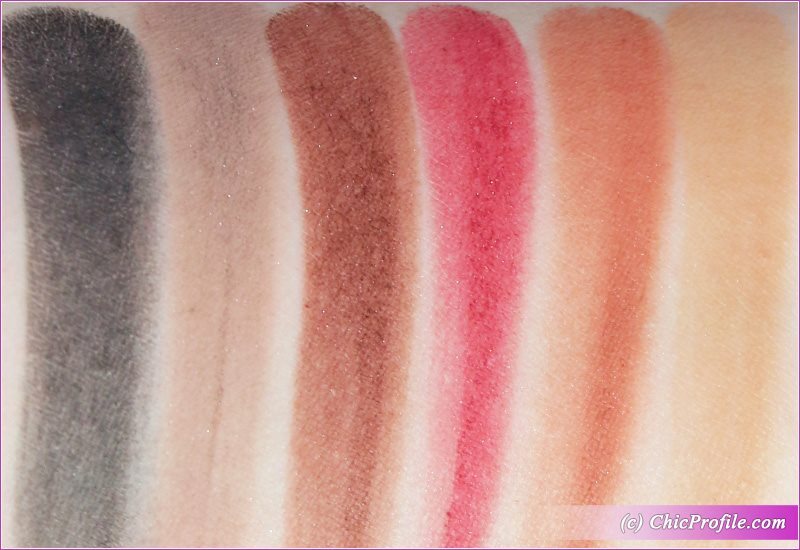 It is one of the best performing shades of this palette. The pigmentation is on point, while the texture is soft and easily blendable. 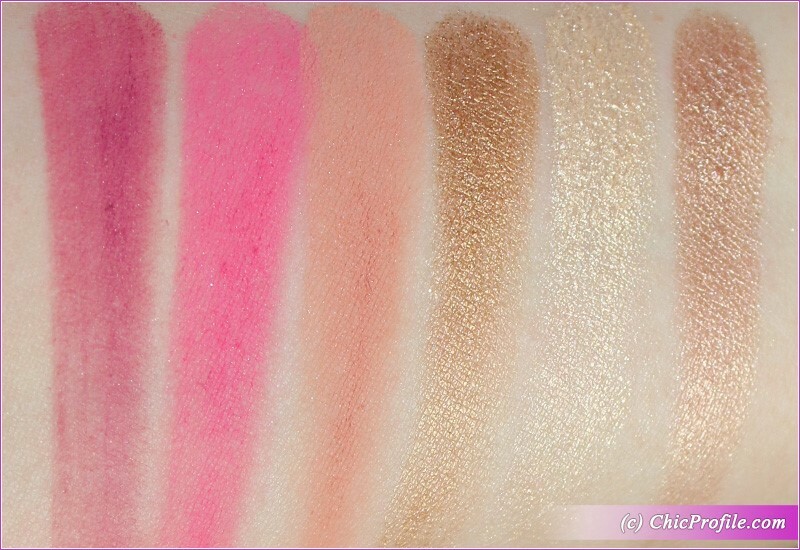 Demure is one of the few transition shades that I personally consider this palette has to offer. It adheres well on the skin, no fall out or creasing. I got around eight hours wear with this formula. BLESSED is a light gold with slightly copper warm undertones and a metallic finish. It doesn’t have a good color payoff, especially if you want to use a brush. The best I got was a semi-opaque coverage when I applied it with my fingertip. The texture is dense but a little difficult to work with, especially with the brushes. 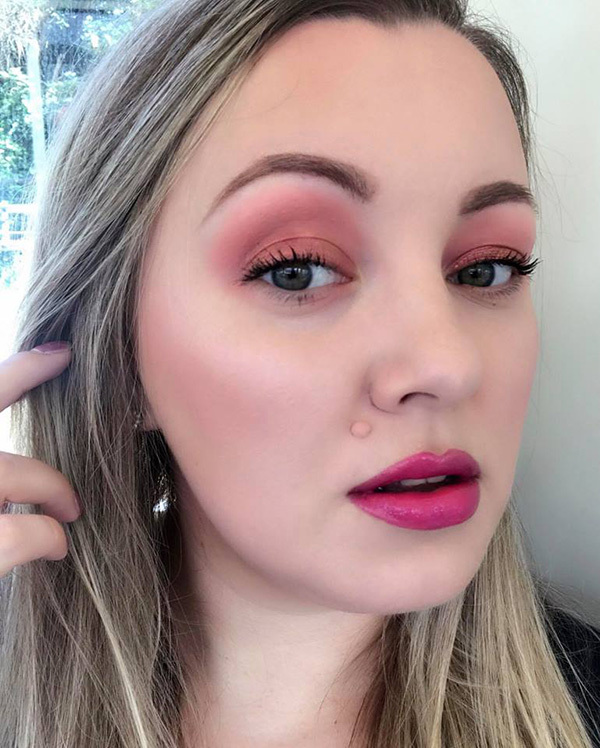 I found this to be one of the problematic shades of the palette. In terms of wearing, the color started to crease on me after seven hours. MOON DUST is a light-medium gold with yellow undertones and a metallic finish. It has a good pigmentation that adheres well on bare skin, blended out easily and shows minimal fall out. The texture is dense, thicker and blended fairly well. I had around eight hour wear. BUBBLY is a medium, bronze with slightly peachy, warm undertones and a metallic finish. It had a semi sheer up to medium coverage which was hard to build. The application was problematic as the formula was dry and it was hard to pick it up with the brush. I tried to use my fingertips to get a more intense pigmentation but I didn’t even came close. The best I got was a medium coverage. I had a hard time to spread the color across the lid and blend the edges. I got almost eight hours wear with signs of creasing. BLACK TRUFFLE is a medium black with neutral undertones and a matte finish. It had a medium coverage, buildable to an opaque in a few layers. I felt the consistency had a bit of slip to it but the formula was definitely improved compared to the black in the previous Rose Gold palette. The color adheres well on bare skin, looks fairly even but there’s still space for improvement. I’ve tested and wore better black shades than this one so I really had high expectations from this formula. The texture was thin, felt a bit dry to the touch but it did the job. It took me close to weight hours wear without fall out. SUEDE is a medium-dark taupe with warm undertones and a matte finish. It had a fantastic pigmentation with an opaque color coverage. I remember this shade as one of the best performing mattes of this palette. The formula is soft, adheres well onto the skin and it’s easily blendable. Just like Demure, this is one of the transition shades that I loved using. I got around eight and half hours wear before it started to slightly fade. COCO is a medium-dark, reddish brown with subtle warm undertones and a matte finish. It had a fantastic color payoff with a rich, intense pigmentation. The texture is soft, easily blendable, just a little powdery in the pan but applies well. Adhere well onto the skin and gives no fall-out. The shade wore well for a little over eight hours before it started to fade. Mark Coco as one of the good quality eyeshadows of this palette. MANEATER is medium red with warm undertones and a matte finish. It had a good pigmentation, being almost fully opaque in one layer. It is best to pat on this color, rather then try to blend it out and work in onto the skin. I couldn’t say is my favorite, because it doesn’t perform so well as the others. The texture feels dry but smooth and it’s difficult to blend it out. When it comes to red shades is hard to find the perfect combination. Maneater is still a decent performing red shade which took me to eight hours wear. HENNA is a medium-dark, coppery brown with warm undertones and a matte finish. It had a good pigmentation with a rich color in a single layer. The texture is soft, a bit powdery but applies well and blends easily. It lasted on me for about eight hours before it started to fade. SANDALWOOD is a medium brown with warm undertones and a matte finish. It has a good color payoff with a medium coverage in a single layer. You can achieve more pigmentation, up to a full coverage in a second layer. The texture is soft, smooth but quite powdery in the pan. It adheres well on bare skin and blends out easily while lasting up to eight hours before starting to fade. Since my Instagram account was disabled and I’m not able to post there my makeup looks, I’ll leave you some photos I still had on my phone from the days I wore this palette. I did wore it a couple of times back then when it launched but I haven’t touch it recently to be honest. 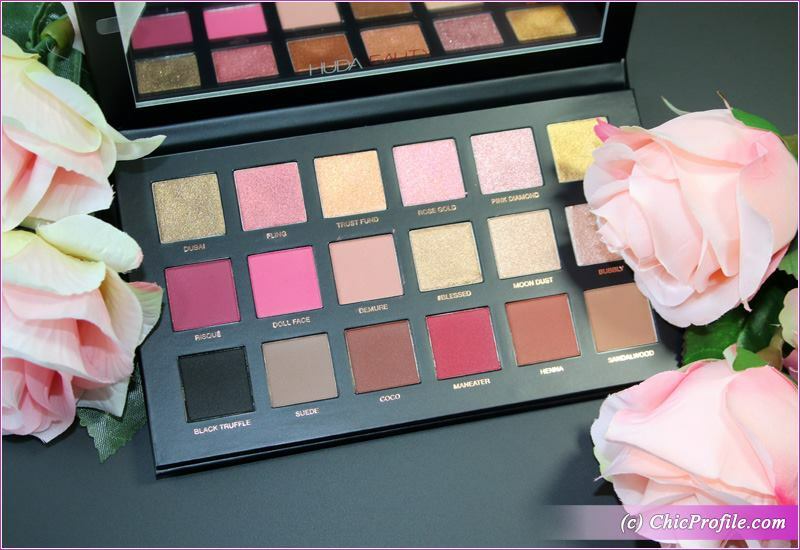 Huda Beauty Rose Gold Remastered Palette has a good variety of shades that will allow you to create different makeup looks. That’s why I wanted to post two examples of a casual day look and something more sophisticated that I would wear in the evening.